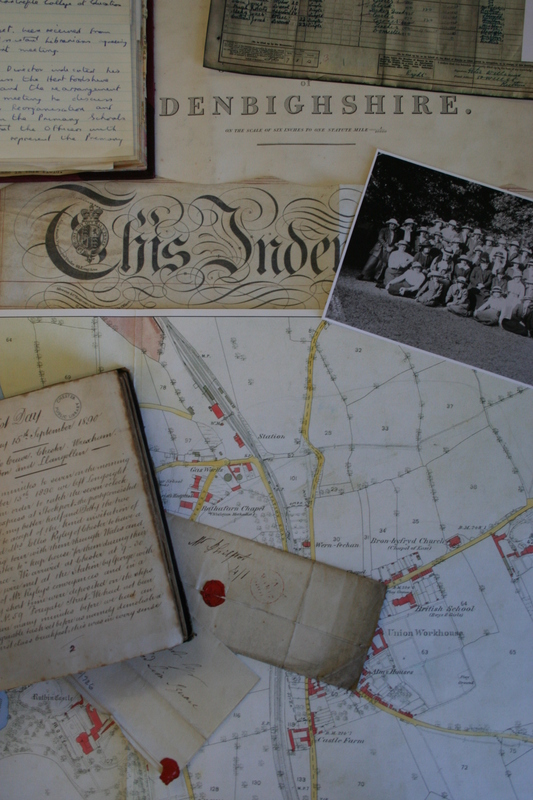 They describe Llandudno as ‘a very delightful place…unsurpassed by any watering place in the Kingdom, both for the beauty of it’s situation and its contributiories of sandy beach, rocky shore and broad towering cliffs’. The ladies travel to Rhyl aboard the ‘Cambrian Bonny Princess’, pleasure boat. The men leave Llandudno on the wagonette, as the weather turns miserably wet and unpleasant. We are again awoke by the squawkers in an adjoining room and after breakfast prepare to bid goodbye to Llandudno. It is a very delightful place which is I believe unsurpassed by any watering place in the Kingdom, both for it’s beauty of situation and its contributories of sandy beach, rocky shore and broad towering cliffs, also for its sea and mountain views. Handsome terraces front the sea in a long curving line in their rear, Mostyn Street a wide street of shops cannot be excelled, an iron pier extends far out into the bay, and near the pier a fine pavilion, has been erected for concerts etc. A broad esplanade a mile long follows the curve of the beach, on the esplanade the Queen of Romania has extensive apartments at the Marine Hotel. She has been staying here some months, and made herself very popular with the Welsh people. At 9.15 once more ready and off to Rhyl, this time under different conditions, our wives having decided to stay until one o’clock and have there by the pleasure boat Cambrian Bonnie Princess, Ellis and myself proceed along the promenade, when the rain coming on makes it very unpleasant. We proceed on towards the “New Hydro” when we meet “Uncle Arthur” screwed up under an umbrella on the top of an omnibus; having plenty of room we turn back to the “Old Hydro” and pick up a friend of his Miss Selby who accompanies us on the journey. The weather was miserably wet and unpleasant, under the circumstances “Uncle” done the amiable and made her as jolly as possible. Our turning back somewhat delayed us, but we made up for the delay. We soon pass the “New Hydro” where the gentlemen are very busy playing lawn tennis. 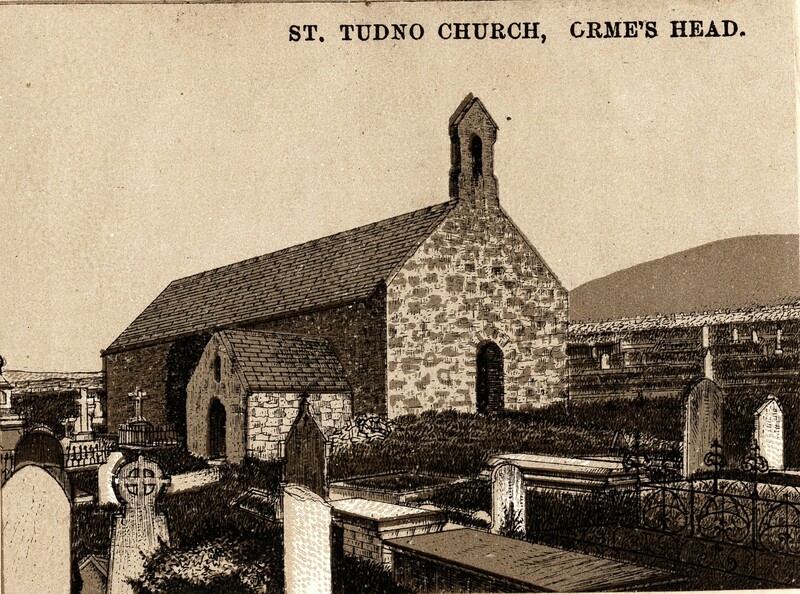 The group continue their drive around the Great Orme and describe the Church of St Tudno. We now pass the toll house gate, a castellated structure of stone, pay the sum of 6d for the wagonette to go past. Here the marine drive fairly begins the, worn rugged limestone rock, the beating sea birds hundreds of feet below. The long stretch of troubling waters, sparkling in the sunlight, the scene ever changing to fresh beauties, as the road winds up and down and onwards. There is probably no drive like it or equal to it, for its beauty in the Kingdom. The broad well made road is protected by a strong parapet in the seaward side as it winds onwards first ascending above the sea and again by gently gradients finding a lower level, curving around huge jutting angles and creeping under towering and seemingly threatening masses of overhanging rock, a wild and fascinating ride throughout. When I was in the bay 23 years ago, there was no marine drive the cliffs were the haunts if innumerable wild birds, such as gulls, razorbills, ravens, guillemots, cormorants etc etc. At one time many of the villagers used to gain their living by collecting the eggs of these birds and selling them, the birds have now nearly all disappeared. Round the first corner where the roads begin to dip again towards the sea level we pass a footpath leading to the old Church of St Tudno, which stands high above us. It was erected about the eleventh century, it was long neglected and suffered to fall into decay. In 1839 the roof was blown in by a terrific storm, it was restored in 1855 by a Birmingham gentleman as a thank offering for the recovery to health of his daughter through staying at Llandudno. There are also on the head remains of some old cave dwellings, also an old copper mine. At the extreme point of the promontory, we reach the new lighthouse and telegraph station erected in 1862, it has a light which can be seen 24 miles away, and is 325 feet above the sea level. The view from this point is exceedingly fine, Puffin Island, Anglesey, Penmon lighthouse and the Menai Straits and Bridges, can be seen on a fine day. Soon after leaving the lighthouse the whole of Conway Bay lies before us. Presently the rocky precipices are changed for glass slopes, on our right in the hollows can be seen what remains of the old Abbey of Gogarth, a few bits of wall over hanging the sea. It is very old as it was known to be a ruin in the reign of Henry the 8th. We soon pass the toll house which marks the end of the Great Orme proper. On our right in the field a lot of gipsies are encamped. We pass on along the Abbey road bordered with private residences, then through the streets to the Crescent drive, and the circuit has been made giving us a splendid appetite for tea. After tea we sport our figures on the promenade, looking for Uncle Arthur, but as we presume he is mashing elsewhere, return home and meet him on our door steps. The night is agreeably spent with his funny tales, when he retires for the “Hydro” at the foot of the Little Orme, so once more we retire to rest feeling that we have all benefited by the out.